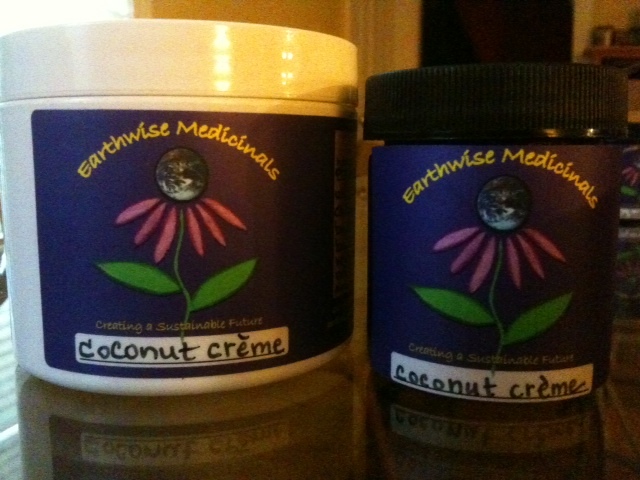 This coconut creme is my newest product, custom designed for the first time this year! I made this delicious recipe for a friend whose family has very sensitive skin, so it is crafted without the use of any essential oil and from very mild and natural food-grade ingredients. This coconut creme is an oil-based salve (please note: it is not a cream) that can be used on the whole body, incuding the face as a soothing moisurizer, for a delighful massage, as well as for healing any manner of sensitive skin. And it is literally edible! All ingredients included in this product are 100% natural, food-grade and organic and/or ethically grown and harvested.